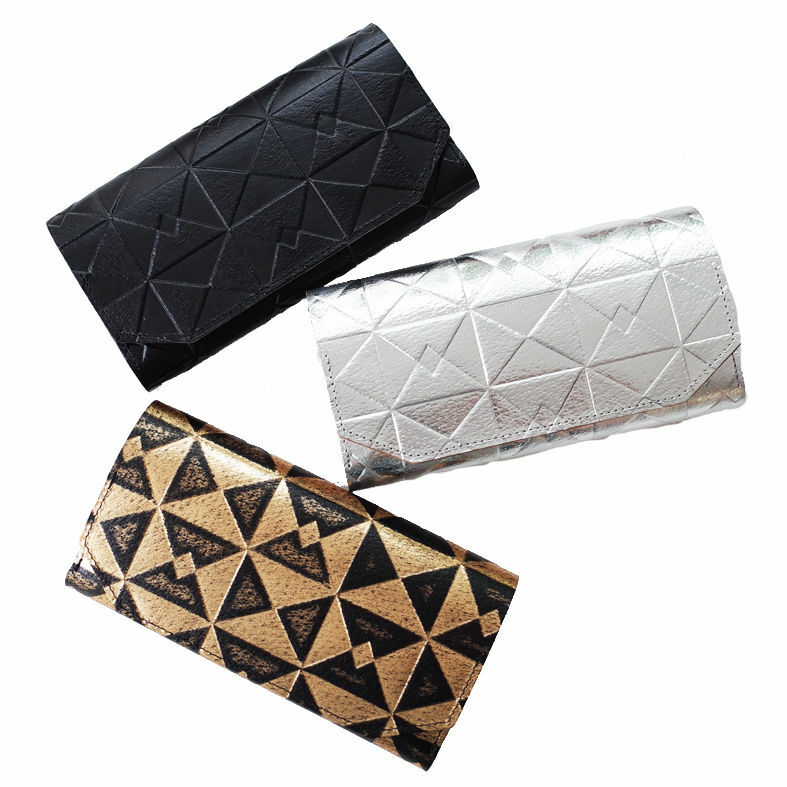 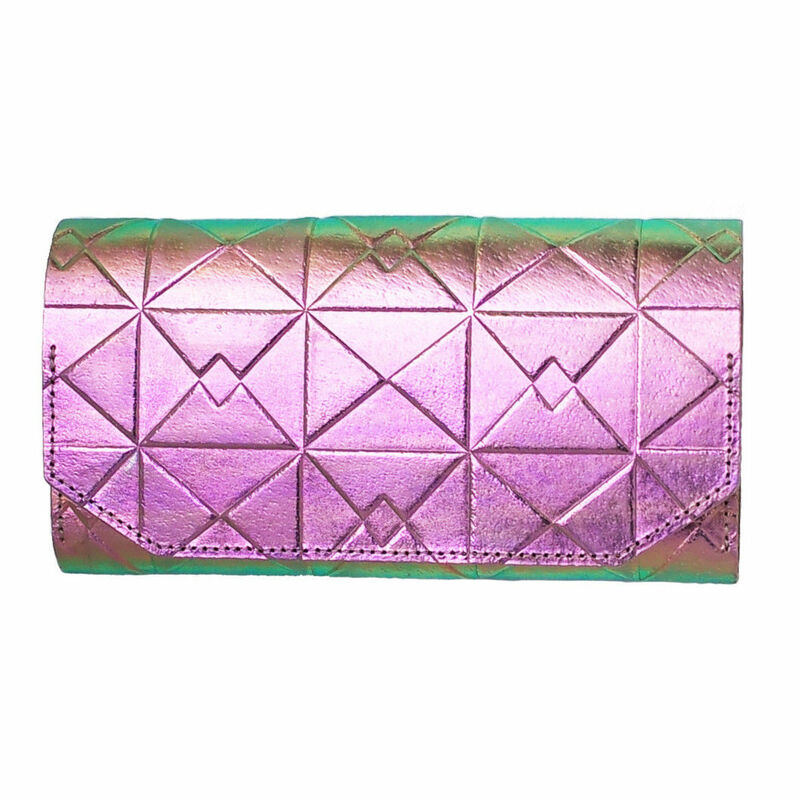 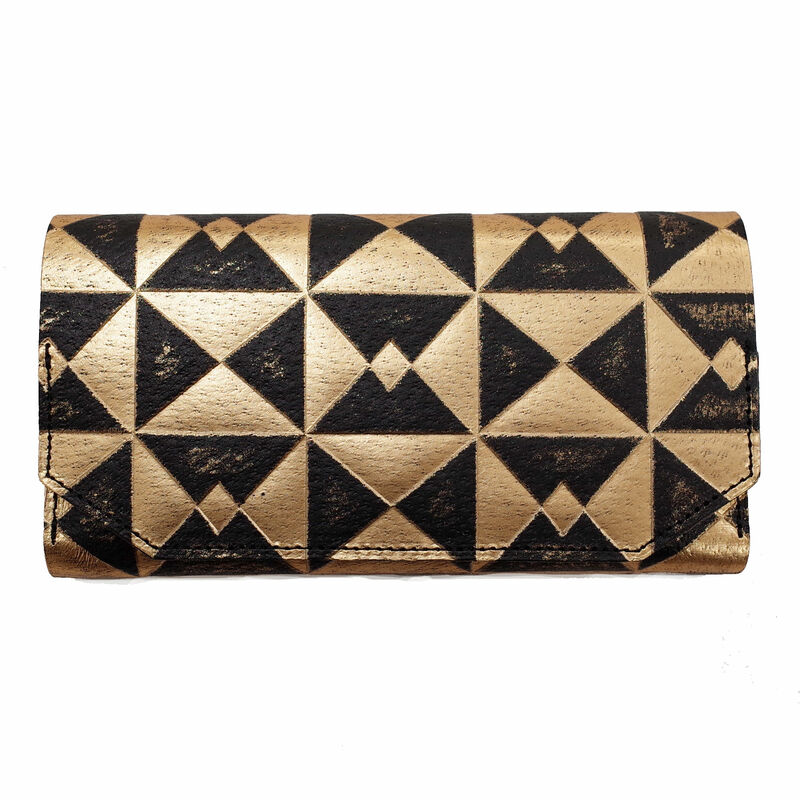 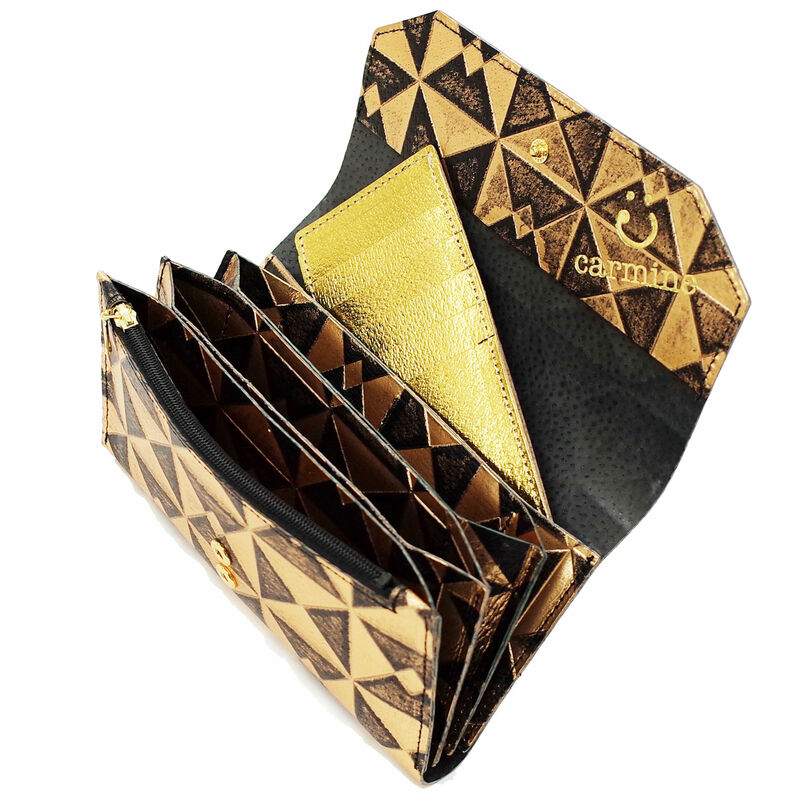 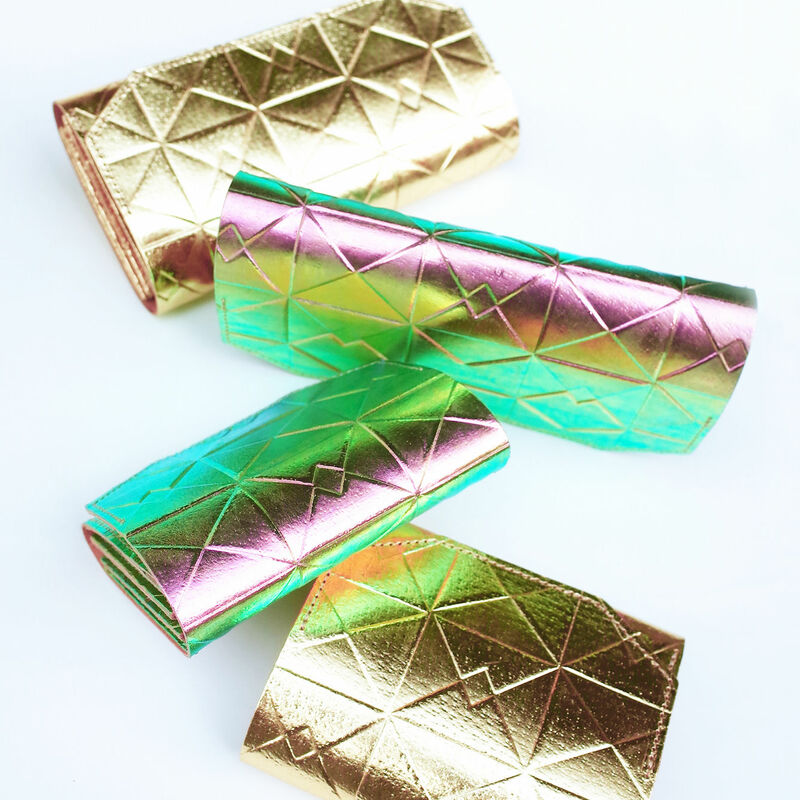 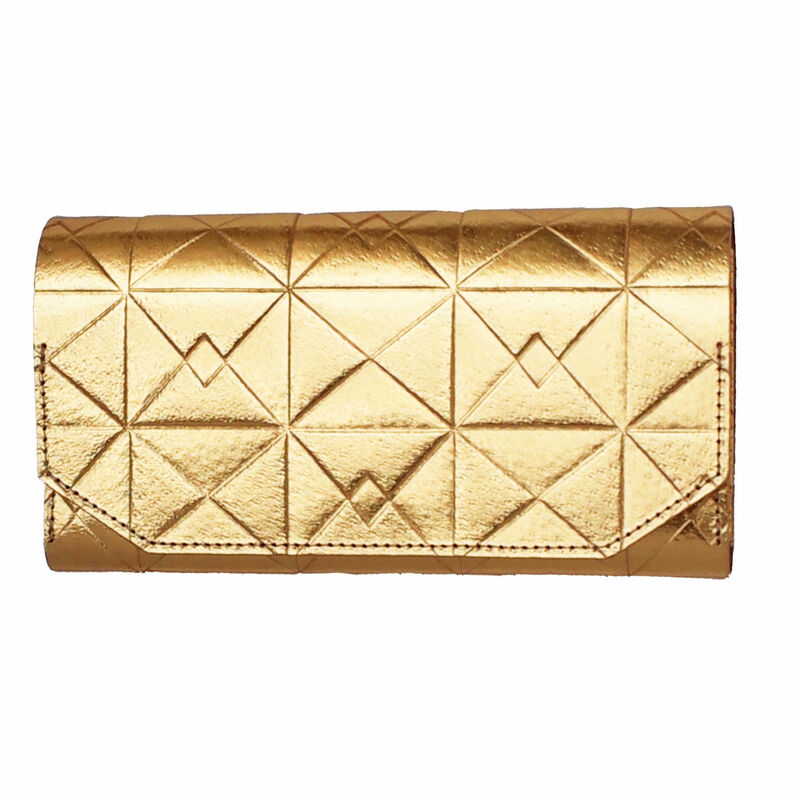 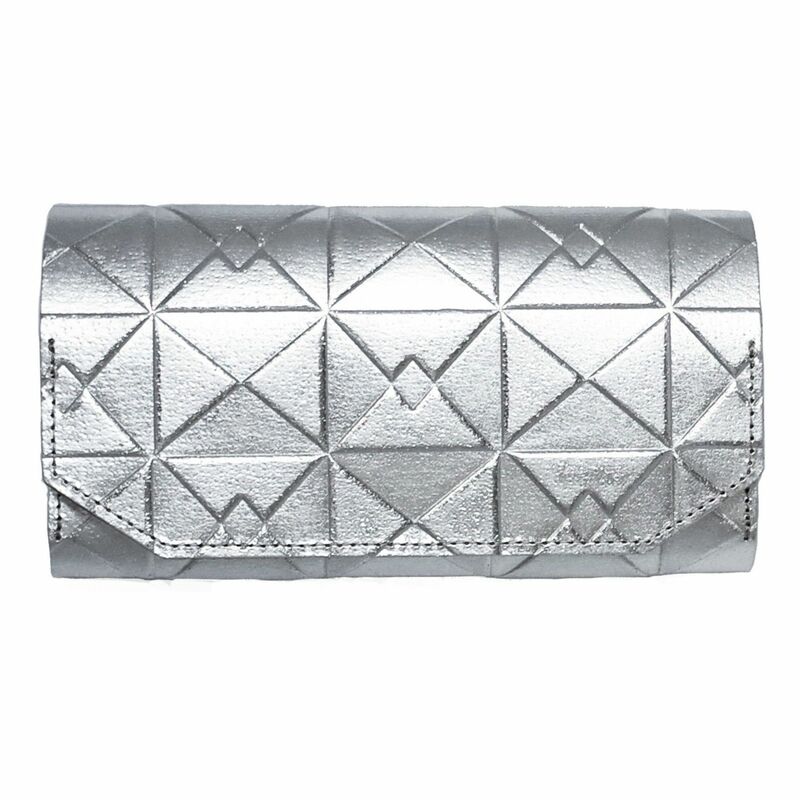 A stylish long wallet with geometric pattern. 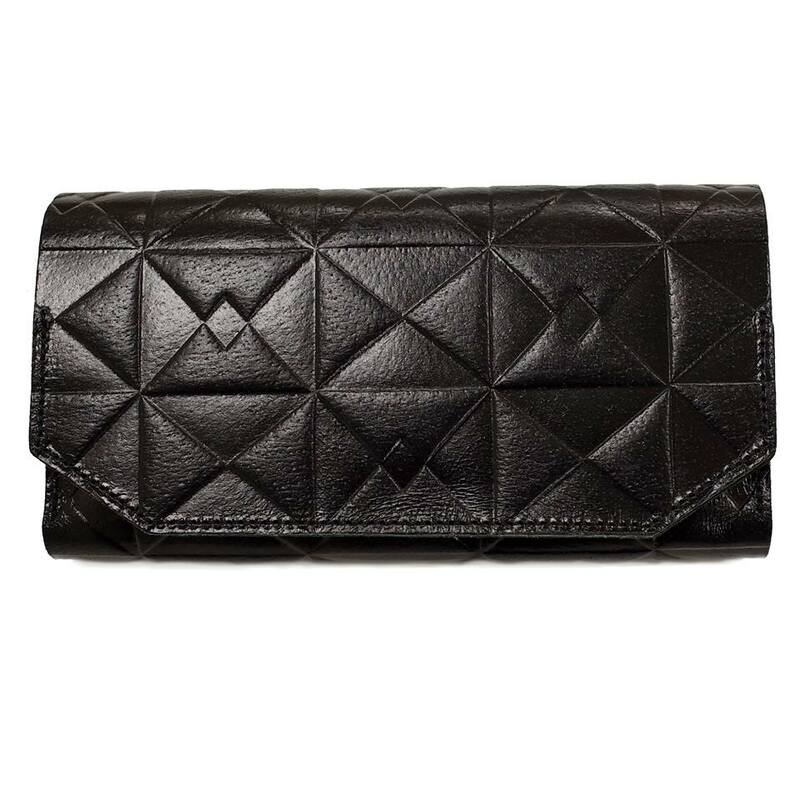 plant-derived ingredients which makes the leather harder. 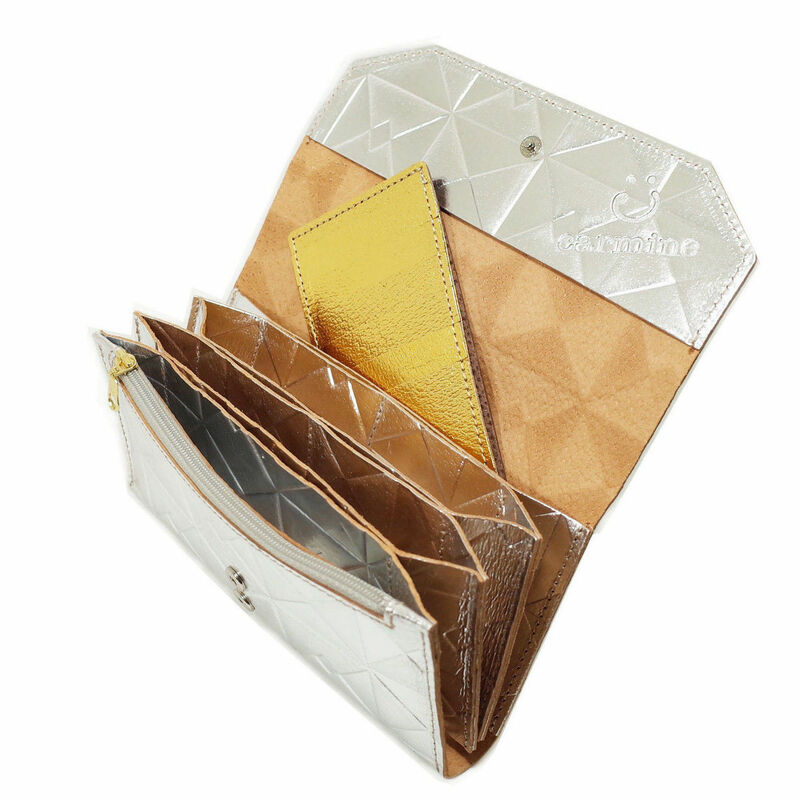 It can hold 12 cards in total; 5 in the wallet and 7 in the separated card case.